A bureau de change operator, Usman Nafada, has been arrested by the police for allegedly conniving with an accomplice at large to swindle one Abdullahi Uba out of N1.7m. It was learnt the victim had approached Nafada on November 16, 2016, at the Obalende area of Lagos State to help him change the sum to dollars. A Punch correspondent gathered that after a few minutes, the suspect returned with 45 notes of $100, which he gave Uba. It was gathered that after Uba discovered that the dollars were fake, he reported the alleged fraud at the Lion Building Police Division, and Nafada was arrested. “About 30 minutes after, the complainant discovered that the notes were fakes. He ran back to Nafada, but he denied knowing about the fraud. He took the victim to where he changed the money, but his accomplice had disappeared. Effort is ongoing to apprehend him,” a police source told Punch Metro. A police prosecutor, Francisca Job, arraigned Nafada in an Igbosere Magistrate’s Court on Monday on three counts bordering on stealing. Job told the court that the offence was punishable under sections 409, 312 (1) and 278 of the Criminal Law of Lagos State, 2011. 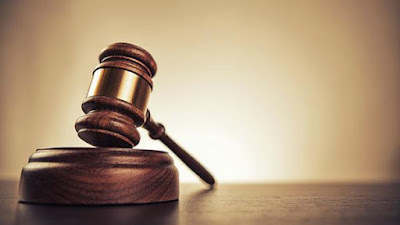 The charge read in part, “That you, Usman Nafada, and one other at large, on November 16, 2016, at about 11.30am, at Obalende, Lagos Island, in the Lagos Magisterial District, did obtain N1,792,000 from one Abdullahi Uba as equivalent naira to 45 fake notes of $100. The defendant, however, pleaded not guilty before the presiding magistrate, Miss. A.O. Awogboro, and was granted bail in the sum of N200,000 with two sureties in like sum. The case was adjourned till December 13, 2016.